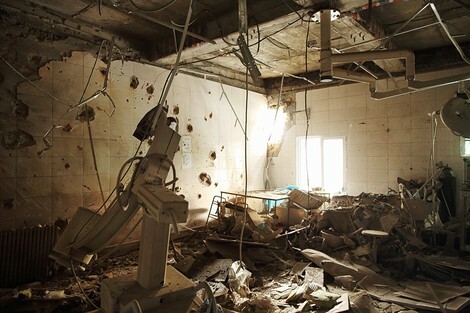 The US air strike that hit the hospital in Kundus/Afghanistan as of October 3rd, 2015, does anybody remember? It had a brief coverage in European media but following some formal excuses by the US government ("Oops, 'was a mistake, sorry...") few people remained interested in finding out what really happened. Among them a journalist of 'The Intercept', May Jeong. Her story reveals that the airstrike on the kundus hospital was no one-off: "According to the International Committee of the Red Cross, between 2014 and 2015 there was a 50 percent increase in the number of threats or attacks on medical facilities in Afghanistan that were reported to the organization. Unlike the headline-grabbing Kunduz strike, many of these small slights and violations go unnoticed, even as they chip away at something much more integral."